Sheona Beaumont is a visual artist based in Bristol, UK. Her work explores the ways in which photography imparts or contains spiritual meaning. As images which are, in the first instance, created by light, she is interested in the visual capturing of the immaterial, and its further embodiment in signs and symbols. The weight of both an immediate perceptual understanding of what we see and a considered cognitive understanding of what we know finds a unique balance in the photographic image, whose 'language' has become increasingly iconographic. 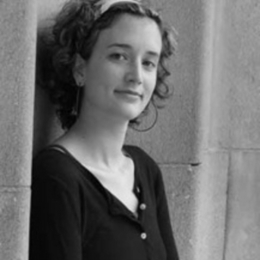 Since graduating from the University of the Creative Arts in 2001, Sheona has produced work both about and for a variety of faith-based contexts, including: the heritage of monastic faith on Dartmoor in the Methodist and Anglican traditions (2004), stations of the cross in a cathedral setting (2006), the abolition of the slave trade as understood by a group of inter-denominational and inter-disciplinary artists (Bristol, 2007), and the nature of hope for a community-based initiative in Birmingham (2008). Having gained a Masters in Visual Culture (2004), Sheona continues to write and publish research on the ways in which image theory understands the mediated expression of belief or meaning, and how it analyses the potency of photography in this regard. Her website showcases an online portfolio of this research and the accompanying art work, as well as links to organizations with whom she has worked/published such as AN, Art & Christianity Enquiry (ACE), Bible Society, and the University of the West of England (UWE).